Shaw is suffering a widespread Internet outage right now, affecting customers across western Canada and beyond (including yours truly; currently tethering from our iPhone). According to this outage map from Canadian Outages (the Disqus comments are a good read! 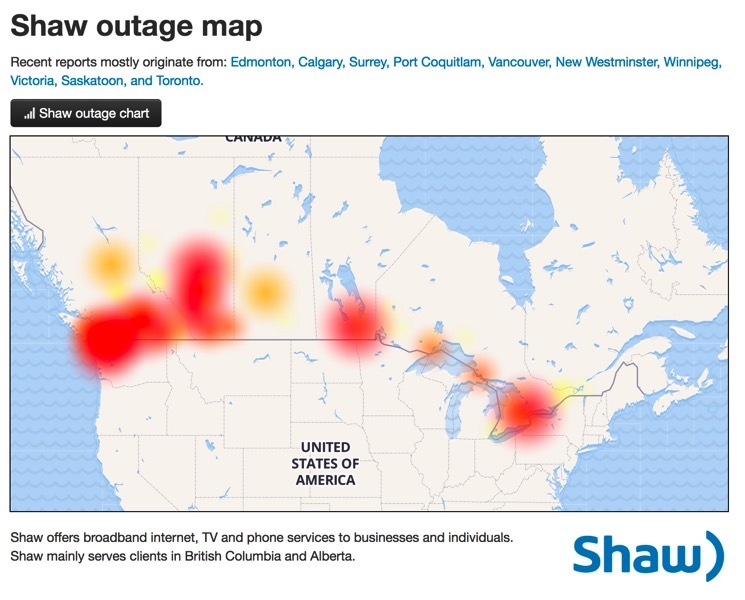 ), those affected by the Shaw Internet outage include: Edmonton, Calgary, Surrey, Port Coquitlam, Vancouver, New Westminster, Winnipeg, Victoria, Saskatoon, and Toronto. Let us know in the comments if you’re suffering from this Shaw Internet outage. What are we supposed to do now?? Actually talk to fellow human beings? Update 2:45PM PT: Shaw Internet is working again for us in Victoria. All Internet and phone services were restored as of 4pm MT for a significant number of Shaw customers across Western Canada impacted by a brief outage this afternoon. The outage began at 1:27pm MT today, as a result of a software failure during a routine upgrade to our network. 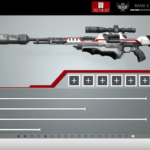 We are further investigating the cause. We sincerely apologize to our customers for this inconvenience.